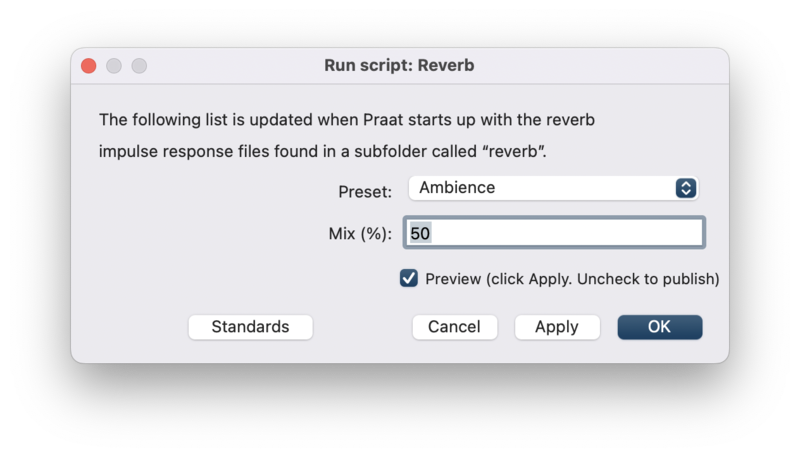 This script adds reverb to every selected Sound object by convolution with an impulse response stored in the folder "reverb". Each resulting new Sound will be named [sound_name]_reverb_[reverb_name]_[%]. 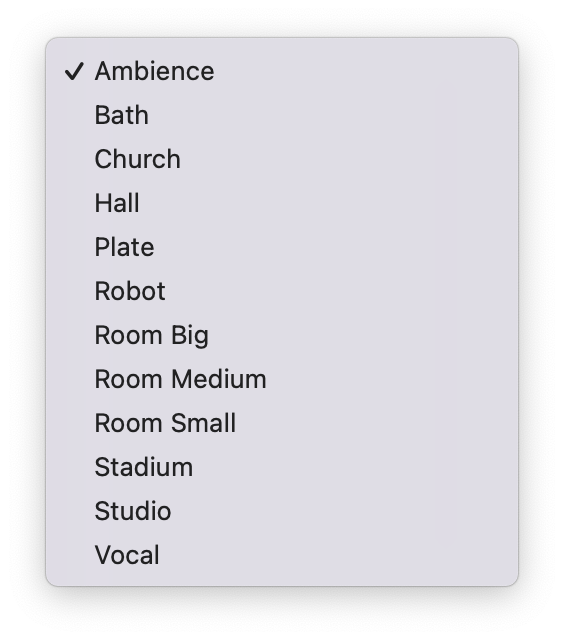 You can use your own impulse responses by copying them into the "reverb" directory in FLAC format (Free Lossless Audio Codec) and adding them to the "optionmenu" list of the script. Please see the Sources page for a list of sites with free impulse responses.